When I first learned that Nintendo was releasing a gaming console that could be played on a television or as a handheld device I was beside myself. When I finally got my hands on one and had seen the quality of the games you could play on it I started thinking about all of the titles released in the past I would want to play on it. There were so many that I felt would be awesome to have on the Switch because it meant that I could play them anywhere and anytime for as long as the battery would hold up. 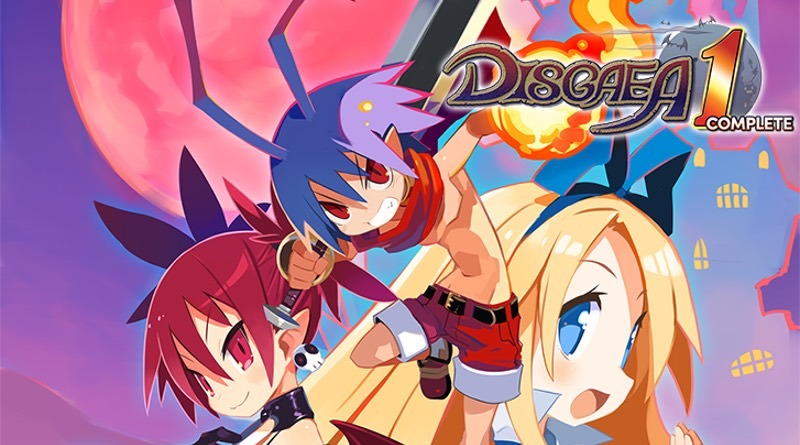 I was excited to see that Disgaea 5 Complete was released on the Switch, but I then wished that they would release Disgaea: Hour of Darkness for the versatile system. I now realize that I should have wished to be independently wealthy instead with all of the great games releasing for the system. Oh, and more hours in a day to play more Disgaea 1 Complete! Back in 2003, Atlus published a game by Nippon Ichi Software in the United States by the name of Disgaea: Hour of Darkness on the PlayStation 2. It was a strategy/tactical RPG that had you placing your minions on a grid and playing a chess-style game to defeat opponents by placing and moving your characters around in such a way that both protected them and allowed for the destruction of all the opponent’s forces. In my memory, I believe the first game like this that I ever played was Shining Force III on the Sega Saturn. There may have been others like it created before that, but it was my first. I have been hooked on that type of RPG ever since. Few remind me of that amazing game and even fewer are equally as enjoyable as it. Fast-forward 15 years and now Nippon Ichi has released the original Disgaea on the perfect platform for it. To be able to play it again is awesome, but to also take it on the train on my way to work is even better. There is something about the characters, story, and gameplay that just satisfies my gaming itch in every way possible. The interaction between Laharl and everyone else is hilarious, the music is quirky, and the battles can be extremely challenging. I feel like they took everything that made Shining Force III a great game, added their own flair, and then upped the ante with cool features that layered on even more strategy than I even knew I wanted. One of the features that stand out to me is the Geo Panels and Geo Symbols. Allow me to explain. No, there is too much, allow me to sum up. Panels on the playing field either have a color or they don’t. If a colored panel, also known as a Geo Panel, has a Geo Symbol on it, then the panels of that color on the grid will use the property of the Geo Symbol that sits atop it. The property can be anything from giving the enemies that sit on them protection to giving them a stat boost. If you destroy a Geo Symbol that is a different color than the Geo Panel it sits upon, it changes all the Geo Panels to that color and damages anyone sitting on it. The game does go into more detail about how to use that in your strategy to win, but hopefully you get the idea. It creates a dynamic that, once you understand how it works, you can really use to your advantage. It can also royally screw you over, so you will want to pay attention to that possibility as well. One of the best aspects of the strategy RPG genre is surveying the layout and forming a plan. Now, I hear a voice in the back of my mind that speaks of something about mice and best laid plans, but there is a lot to be said about forming a strategy before you execute it. Disgaea doesn’t force you to move all of your characters to begin executing your plan. In fact, you can move one character, tell it to attack, and then execute the attack. Lather, rinse, repeat through the rest of your squad if you so wish. You also have the option of moving characters next to another one, pick them up, and toss them further than they could normally move. There is a pro and a con for doing that. There are characters you want to throw, and others you may not want to because they explode on impact. Like a pawn in chess, you can sacrifice them for the greater good. The point I’m trying to make is that you don’t have to be a wizard at planning out your attack because you can do some things, hit execute, and see how it turns out. That may change how you move your next units. However, move and immediately executing has disadvantages (or cons) as you can imagine. There is always a chance that during an attack, your characters could team up and hit the object of your aggression multiple times. So, keeping your players in groups can be a bonus to your attack plan. Besides, leaving one guy out in the middle of the map exposed for anyone to gang up on is not a Good Thing™. You will not find many strategy games better than the ones making up the Disgaea series. There have been several of them released but just like the movie Jaws, the first one is special. If you have played other Disgaea titles but maybe never played the original, this would be an excellent time to do so and the perfect platform to do it on. Take Disgaea 1 Complete to that horrible family gathering you’ve been dreading, pop on some noise cancelling headphones, and pass the time in the most enjoyable way possible. Better yet, avoid the stupid gathering and play it on your 65” OLED and lock your doors. Either way, you’re in for a great game that will bring you hours of enjoyment.